Saturday Morning Cartoons & Quick Draw! Join the Chuck Jones Center for Creativity and the Center for Living Peace for Saturday morning cartoons & quick draw the first Saturday of the month beginning September 1st! Chapman University professor of animation, Doug Lothers, will lead aspiring artists on a journey of creativity. Suggested donation $1.00 to $5.00. Enjoy the escapades of Bugs Bunny, Pepé Le Pew, Daffy Duck, and more of the characters generations have loved for decades! We'll watch Chuck Jones’ animated world unfold before our eyes and periodically stop to capture that "best moment" without having time to think. We'll watch some more and do it again and again to create unforgettable memories of that day. The Chuck Jones Center for Creativity inspires joy and innovation in people of all ages, energizing them to transform their lives, their communities, and society as a whole. The best way to tap into pure creativity, the energy that dwells inside all of us, we need to trust our minds and hands and NOT think. Whether it's watching a cartoon or watching your child play, we hold onto the best moments of our day in pictures and store them away as brilliant memories. Chuck Jones would do the same thing, only he would draw on those memories and turn them into beautiful art. 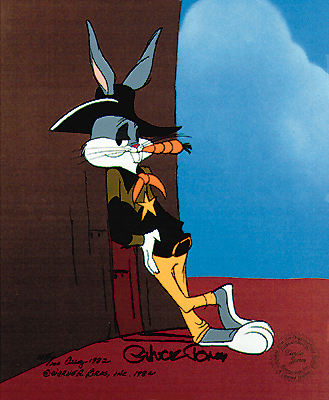 For Cartoon Quick Draw, we get the chance to be Chuck Jones for an hour. 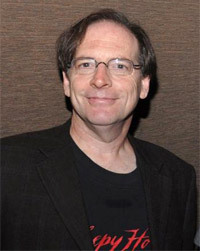 The Chuck Jones Center is pleased to welcome its first Guest Curator, author and historian, Jerry Beck. Our Guest Curators will, over time, comment on the art and films of Chuck Jones, selecting art from the archive and the library of films that Jones created throughout his lifetime. Jerry graciously agreed to inaugurate the series by selecting three Chuck Jones films that he felt epitomized Chuck's talent and genius. To read his commentary and to watch the cartoons he selected, click on Guest Curator. Enjoy!